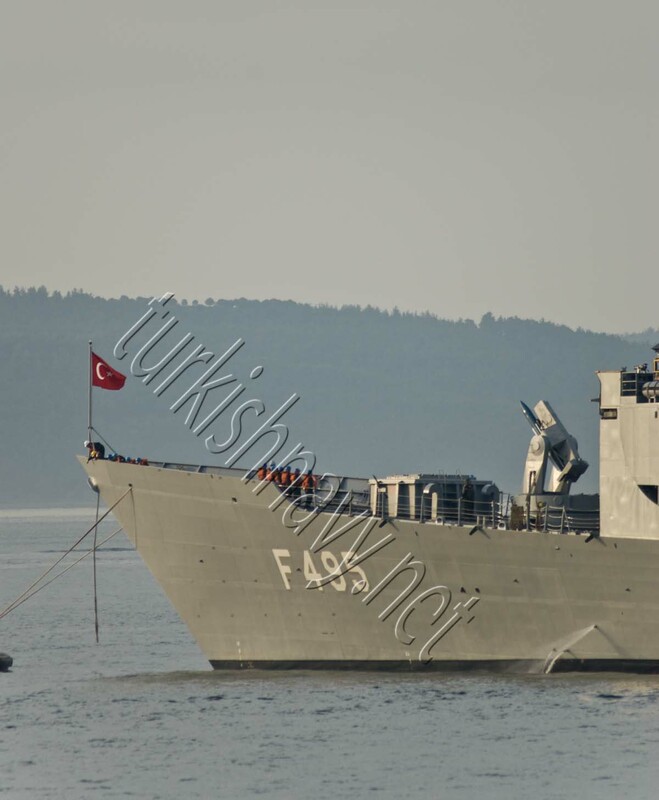 This is most probably the first photo of the Turkish frigate F-495 TCG Gediz with the newly installed 8 cell Mk-41 VLS system. 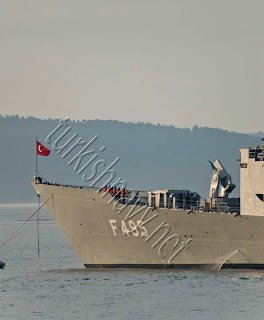 In 2009 it was announced that four of the eight Gabya (Perry) class frigates in Turkish inventory would receive a 8 cell Mk-41 VLS for ESSM and a new 3D radar for improved observation and fire control capabilities. This upgrade is similar to the modernization project conducted by Royal Australian Navy known as Project SEA 1390 or FFG UP. Thales Smart S Mk-2 was selected as the new 3D radar, but it was not installed on the frigate yet. 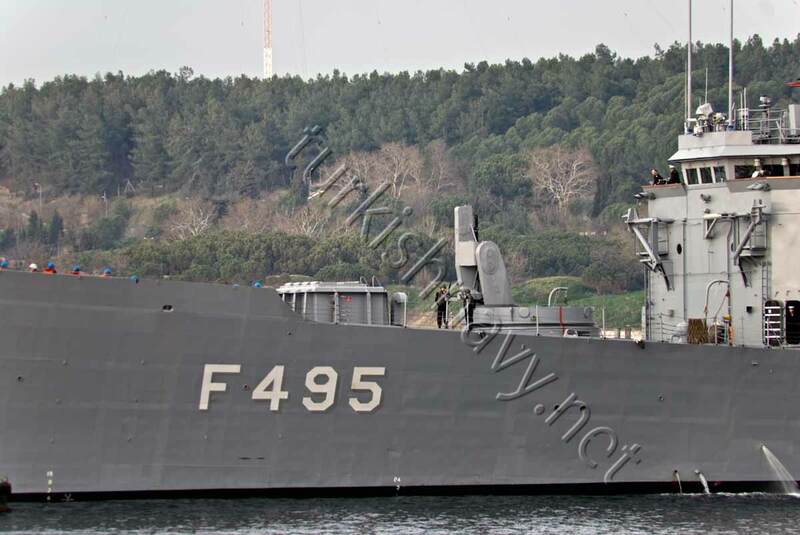 All Gabya class frigates with the exception of F-496 TCG Gökova and F-497 TCG Göksu, have received the GENESIS mid-life upgrade. >Do you know which four will be getting VLS? >Dave, the last four will be getting the VLS in this order: F-495, F-496, F-497, F-494. 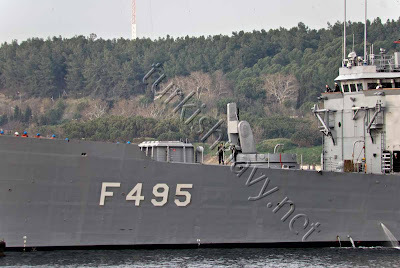 We all know that F494, F495, F496, F497 will have 8-cell Mk41 VLS. However, I am confused when it comes to the Mekos F244 and F245. How many cells will these two ships have. Will they have 8-cell or 16-cell like F246 and F247 have.